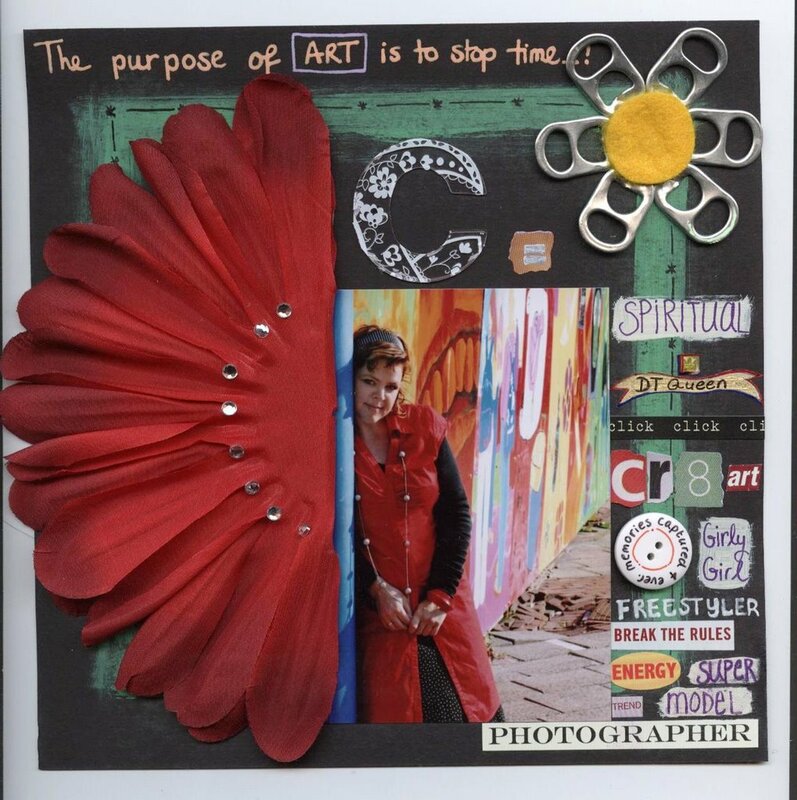 the lovely and talented Corinne Delis and especially for her I created my first freestyle lo..... so whatcha think ? Have a great day C and I hope you get spoiled a little more. BTW I have to tell you a little secret, from the first time we "met" you reminded me of someone but I haven't told you this yet. 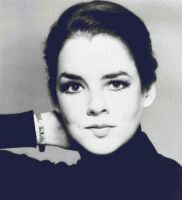 Hope you think it's a compliment but you remind me of this actress (Stockard Channing). oh my goodness...it does look like her!!! Wonderful LO! And you are right - they look alot alike!!! WOW... the resemblance is HUGE... just look at those eyes!!! Your LO is GREAT!!! You definitely have the freestyle spirit! Wauw! Mooie lo Daniëlle! Freestyle is geslaagd! 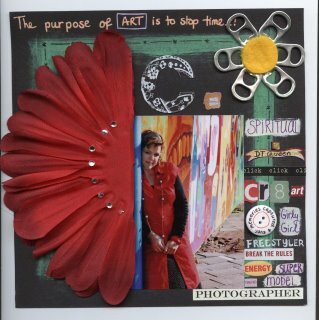 Wow..... what a great LO, love it!!!!! And yes, Corinne really looks like the actrice!